Michelle Obama yet again won the appreciation of her audience and beyond with a strong farewell message that resonated. Being First Lady has not exempted her from being targeted with racist comments but she has handled herself and the situations remarkably well. While her sense of balance and commitment evoked admiration, she has been criticized for not using her powerful position to bring relevant issues to the forefront. What was Michelle Obama’s final message? 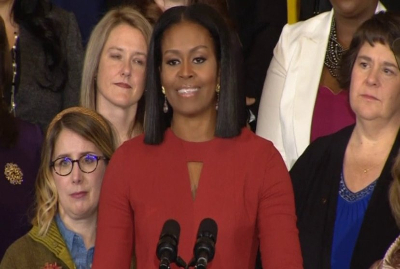 Michelle Obama gave her final speech as First Lady of the United States (FLOTUS) at an event in honor of the 2017 School Counselor of the Year. She sent out a strong message to young people. She cherished their religious and cultural diversities and emphasized that the values of justice, honesty and compassion united them. She assured them - Do not ever let anyone make you feel like you don’t matter, or like you don’t have a place in our American story — because you do. And you have a right to be exactly who you are. She highlighted the power of education as a tool that would empower individuals to be vocal citizens who make a positive difference, and be equipped with the ability to think clearly, to find a good job and support their families and play an impactive role in their communities. She also shared her first hand experience to reinforce the final part of her message: the power of hope — the belief that something better is always possible if you’re willing to work for it and fight for it. 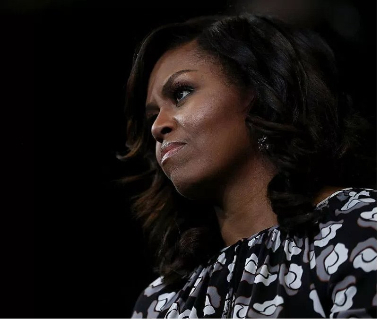 Why is Michelle Obama widely admired? A prominent social voice. She has dedicated herself to the causes she cares most about, instead of merely falling in line with “how a First Lady should present herself”. Through consistent effort she pushed for American society to take childhood obesity seriously and sought to spread the motto of higher education beyond her country. She is a great communicator who can take her stand and highlight her message in the most effective manner.Her campaign attacks on Donald Trump – with a focus on issues and their impact – were the hardest to counter. She possesses the ability to balance professional and family life. 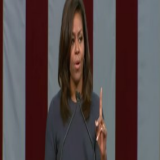 “I admire Michelle Obama because of her ability to juggle family and professional roles with poise and great strength. She inspires me on a daily basis to serve the community and my clients with conviction and optimism”, says Adelee Cabrera, regional director, Starr Catering Group.For the several women and men who confront the dual demands of professional and personal life, this is an inspiration. She comes across as authentic. Be it in her speeches or in her actions or her style and dress sense, she doesn’t rely excessively on norms. She does not hold back from making fun of herself and carries it off well; most importantly she exudes genuineness. “She has a kind of informality that comes off as very natural, and in a generation that is searching for authenticity and connection, I think that helps,” said political scientist William A. Galston. When has she been criticized? The criticism usually stems from supporters of the Republican Party and finds a place in media outlets affiliated with them. When she spoke against Donald Trump’s derogatory remarks, the criticism took two forms – one labelled her a hypocrite for criticizing Trump even as she played gracious hostess to rappers who glorified sexism and misogyny, the other – more a criticism of America’s selective attention than of Michelle Obama – asked why was it that she could only speak out how she felt when “mainstream white women” were targeted and had to remain silent when women of color are brutalized and demonized. An analysis of the previous criticisms pointed out the futility of the first criticism – the tendency to make scapegoats of Black women, comparing rappers to the Presidential candidate, overlooking grossly misogynistic comments of Trump and his supporters and creating excuses to defend Trump. In an Off the Record episode of 2014, Greta Van Susteren criticized the Obamas for splurging the taxpayers’ money on Michelle Obama’s birthday gift. 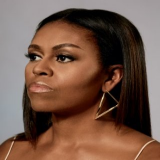 The same year, Breitbart News referenced a study by NewsBusters which found that ABC, CBS and NBC devoted more than twice the coverage for Michelle Obama’s 50th birthday than they did for the report released by the Senate Intelligence Committee that blamed the Obama administration for security failures that caused the 2012 Benghazi terrorist attack. Given the expectations on her as a historic First Lady, people have criticized her for not living up to them. Commentators have pointed out that her preference for the typical role of mom-in-chief despite being a well-educated, successful career woman is woefully disappointing. 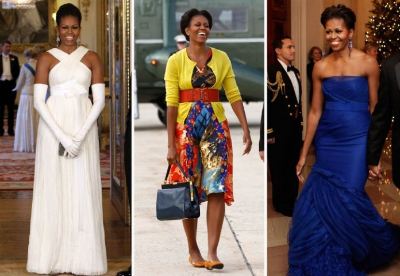 During Michelle’s 2012 campaign author Leslie Morgan Steiner observed, “Are fashion and body-toning tips all we can expect from one of the most highly educated First Ladies in history ” Keli Goff, a correspondent for the African-American online magazine The Root said, “She is one of the most influential black women on the planet, and I consider it a national shame that she’s not putting the weight of her office behind some of these issues.” In this context, she has been called “a feminist nightmare” and “absent”. She has repeatedly had to confront racist-driven hate comments. Where are the areas Michelle as FLOTUS focused on? She began as “mom-in-chief” by espousing apolitical causes but her dogged commitment to issues she was passionate about won appreciation. Her battle against childhood obesity progressed from a smaller personal level to a larger political level. Her initiatives have brought in mixed reactions – her efforts are acknowledged to have drawn attention to the worrisome trend of childhood obesity but their impact and future under the next President remain uncertain. Also some experts have strongly criticized the direction taken by the initiatives. In the months following the 2010 launch of her “Let’s Move” campaign, one of the most important and controversial actions based on a researched game plan was taken and led to the passage of the Healthy, Hunger-Free Kids Act. 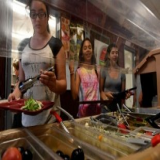 This meant the U.S. Agriculture Department could set nutritional requirements to be followed by schools selling food; a first-of-its-kind initiative in more than three decades. A ban on transfats, increased percentage of whole grains, fruits and vegetables in meals, and a decrease in sodium and sugar content were included in the new requirements. Another key action was collaboration with food and beverage industries; have them decrease the concentration of sodium and list the calorie intake of packaged soft drinks. A 2014 study by Centers for Disease Control and Prevention revealed no significant change in obesity rates in 2012 – 17 percent – compared to the past decade. While a tangible benefit seems increasing public acceptance of nutrition-related ideas and improved nutrition for rural children, the effects may be known only in the long term. Other areas the First Lady continuously directed her efforts to, are the causes of veterans’ families, aiding working women to maintain work-family balance, promoting higher education through initiatives such as Reach Higher – that encourages students to pursue secondary education, increasing school counselor –student ratio, highlighting the necessity of girls’ education at the international level, promoting Arts education. Who said what on her? 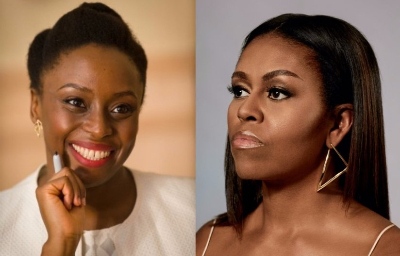 Eminent Nigerian author Chimamanda Ngozi Adichie observed how Michelle’s frankness and refusal to adopt a superficial demeanor initially led to her being tagged as the “Angry Black Woman”. Adichie added, “She grew a vegetable garden and campaigned for healthier food in schools. She reached across borders and cast her light on the education of girls all over the world. She danced on television shows. She hugged more people than any first lady ever has, and she made “first lady” mean a person warmly accessible, a person both normal and inspirational and a person many degrees of cool.” She said Michelle stood out in her confrontation of insults not so much by “correctly responding” as by “remaining herself”. The latest among the numerous news-making hate comments directed at Michelle came from Pamela Taylor, director of the Clay County Development Corporation. While expressing relief at Melania’s arrival as FLOTUS Taylor said, “It will be so refreshing to have a classy, beautiful, dignified First Lady back in the White House. I’m tired of seeing an Ape in heels.” Beverly Whaling, mayor of Clay, West Virginia commented on the post and said, “Just made my day Pam.” Both paid with their positions for the hate comments. 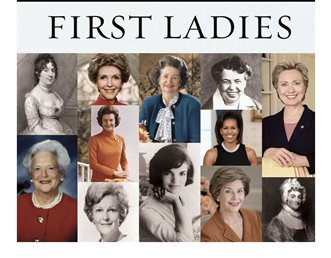 How much do First Ladies really matter? As they are not elected to the role, the duties required – at least in theory – of a First Lady are merely ceremonial and they are not paid for holding the position.But over time, and from US to other countries, they have come to assume a more influential role. According to Salary.com, FLOTUS’s tasks encompass 12 jobs including nonprofit program executive, communications executive, event director, secretary to the CEO, and interior designer. While the increased prominence of the role is owed to significant steps taken by individual First Ladies throughout time, there is also the view that not much has actually changed since the first such steps were taken. Eleanor Roosevelt, as an activist seeking reform is said to have defied tradition to become one of the most powerful and esteemed First Ladies of all time. As wife of the 32nd POTUS, her steely resolve, frankness – even if it meant disagreeing with her husband’s policies - and ambition made her a controversial figure in that time. But this did not prevent her from redefining the role of First Lady and earning respect for it in her later years. Her activities included conducting regular press conferences, writing a daily newspaper column and a monthly magazine column, hosting a weekly radio show and speaking at a national party convention. She also championed for greater scope for women in the workplace, civil rights of African and Asian Americans and the rights of refugees of World War II. Her political influence extended beyond her husband’s death. It was only when Rosalynn Carter in 1978 requested for greater weightage to be given to the role that a dedicated office to handle FLOTUS’s public engagements was provided. Hillary Clinton’s pivotal presence can in no way be overstated and she received some of the greatest backlash for her decisions to step out of the comfort zone of First Lady. 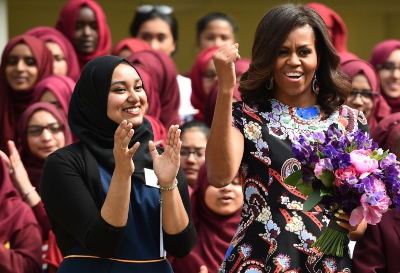 But she set a precedent through her political involvement that came to shape the role not only of Michelle Obama and future FLOTUS’s but also changed how First Ladies of other countries are viewed. First impressions are already being circulated on Melania Trump’s dress sense and what it conveys about her.